In writing recently about concepts of time, collaboration, and learning, I could have sought formal publication with payment and traditional copyright protections as I’ve done for some of the other writing I have completed on my own and with colleagues. But I didn’t. I chose, instead, to take an open movement approach: I posted the article, without expectation of financial remuneration, on my blog with Creative Commons licensing—a choice dictated as much by the topic and the way it was developed as by any other consideration. The amazingly quick, positive, and unanticipated results have been magnificent. And they provide a rudimentary case study well worth documenting—one that viscerally displays the benefits of participating in the open movement, in Open Education Week, and open collaboration in training-teaching-learning and many other endeavors. Let’s step back to the identifiable origins of this experience. My initial source of inspiration for that time/collaboration/ learning piece—and this one, in fact—was my continuing participation in a wonderful massive open online course (MOOC)—#etmooc, the Educational Technology and Media MOOC that Alec Couros and others are currently offering through March 2013. 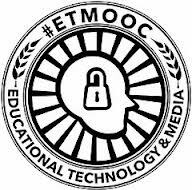 Because our latest #etmooc field of exploration is the open movement, I’ve been inclined to explore and write about it with MOOCmates in an open rather than pay-per-piece approach. This has facilitated the rapid development and exchange of still-evolving ideas; quickly inspired expansion of our synchronous and asynchronous conversations via a Google+ Hangout, live facilitated chats and other exchanges on Twitter, blog postings, comments in our Google+ community, and email exchanges; and helped us draw others who were not previously affiliated with the course into our platform-leaping exchanges. A key moment in exploring our changing perceptions of time in collaboration and learning came when Christina Hendricks, a MOOCmate from Canada, posted a link to an article she had not yet read but suspected would contribute substantially to the conversation: “Pointillist, Cyclical, and Overlapping: Multidimensional Facets of Time in Online Learning,” published openly by Pekka Ihanainen (HAAGA-HELIA University of Applied Sciences, Finland) and John Moravec (University of Minnesota, USA) in November 2011. I devoured that piece in one sitting the same evening I received it—three nights ago; wrote about it a couple of days later—yesterday; and sent Moravec a link to my own article so he and Ihanainen would know that their work was continuing to influence others. Not more than an hour passed before Moravec wrote back, via email, with a brief note of thanks and a follow-up question (yesterday afternoon) that is continuing to expand the conversation as I complete this piece this (Friday) evening at the end of Open Education Week 2013. The conversation shot out additional tendrils this morning: Ihanainen wrote back with additional thoughts; provided a link to an online collaborative document in which he and another researcher are exploring the theme in a way that opens the conversation to anyone—regardless of time or place—who is interested in following and/or participating in it; and included a link to his collaborator’s blog that creates a bridge between the “Pointillist” article and the online collaborative document: “Response to ‘Pointillist, cyclical, and overlapping: Multidimensional facets on time in online education,” posted by Michael Sean Gallagher on November 27, 2011. To read Gallagher’s response and the ensuing exchange of 14 comments appended to that blog posting is to openly eavesdrop in the moment on conversations that originally occurred between November 2011 and January 2012—but remain as alive now as they were when Ihanainen and Gallagher composed them. This is where we need to further develop what I referred to in my earlier description (yesterday) as “another digital literacy skill: an ability to function simultaneously within a variety of timeframes we don’t normally consider while we’re learning”: we need to take a deep breath, step back a bit, and deconstruct what is happening here so we can build upon it to the benefit of trainer-teacher-learners worldwide. There’s a real danger here that all this messiness and complexity—these uncontrollable shoots and roots multiplying at a mind-numbing rate from the original #etmooc rhizome—could make the average trainer-teacher-learner run for the hills and never look back. Which would be a real shame. For at the heart of all this is a wonderfully philosophical question that also has tremendous potential repercussions for how we develop, deliver, and facilitate training-teaching-learning in our onsite-online world: what can we do to build upon the best of our traditional models of learning while incorporating the techniques and tools that are quickly becoming available to us, show no sign of slowing down, and may have evolved further by the time you’re actually reading this? What this comes down to for me personally is that in the moment in which I’m writing this, all these conversations have merged into one vibrant vital moment regardless of when others composed and expressed their thoughts or where they were, physically, when they composed and expressed those thoughts. What it comes down to for you as a reader-learner-participant is that the same moment is as vibrant and vital regardless of the date on your calendar as you read and respond to this and regardless of where you are sitting and what form of technology you are using to read this information. And that, I suspect, is the greatest lesson to be absorbed within this particular moment comprised of what we, as members of a fluid, open, pedagogy-of-simultaneity community, bring to it. This entry was posted on Friday, March 15th, 2013 at 9:27 pm and is filed under e-learning, etmooc, technology. You can follow any responses to this entry through the RSS 2.0 feed. You can leave a response, or trackback from your own site.